If you are like us, you probably prefer the Gmail email application over the Microsoft email application. It’s not that Office 365 is in any way inadequate, besides it’s lousey search function and horrid contact management. We just prefer the simplicity of Google’s Gmail; the layout is clean, the search function is genious, and the automatic filtering/sorting of emails into tabs is amazing. The great part about using Office 365 to send emails is the robust Microsoft server and security that goes into your email service. By utilizing the google interface, you do not sacrifice any of these innate benefits. There are only things to gain by using gmail with a Microsoft 365 email. 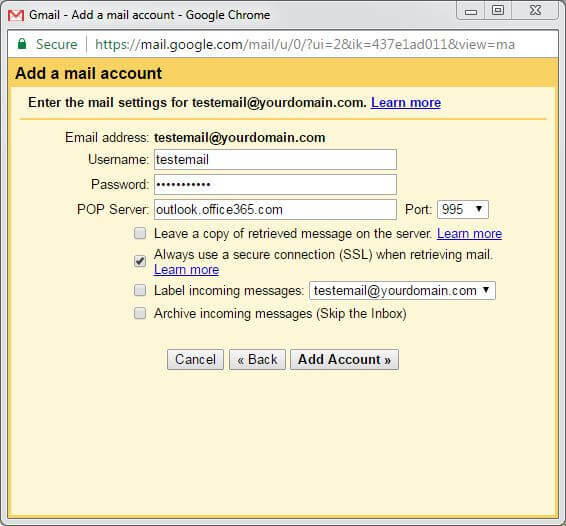 In Short, yes, you can use your personalized domain email address on the Microsoft 365 email service provider all while leveraging Google’s gmail interface and features. Need help? Contact us, we are happy to assist!